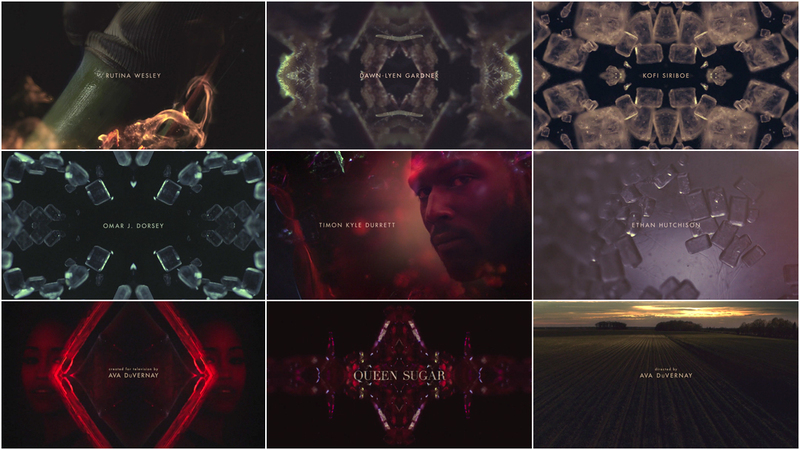 The title sequence of Queen Sugar is a kaleidoscope of fire and dark crystal, folding landscapes and glances into myriad angles. It introduces the story of Nova and Charley Bordelon, sisters who uproot themselves from New Orleans and Los Angeles, respectively, to claim their inheritance: an 800-acre sugarcane farm in the heart of Louisiana. The drama series was created, directed, and executive produced by powerhouse director Ava DuVernay, who also helmed recent films Selma and 13th, which was nominated for Best Documentary Feature at the 2017 Oscars. For Queen Sugar’s first season, DuVernay assembled a team of female directors, making it the only show to ever have been directed entirely by women. It’s no surprise, then, that this sensibility also extended to its opening sequence, which features music by Meshell Ndegeocello and design from Creative Director Lisa Bolan and a team at Prologue Films. As the sequence rolls on, the sugarcane burns, the flames lick at the edges. The land and its people become inseparable, endless. In tones of chestnut and stone grey, scarlet red, mint green and hot magenta, hands dig and power shifts. 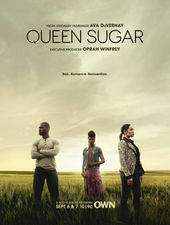 Queen Sugar returns for its second season in 2017, with a whole new set of female directors. Dreams never die.